Planning to visit Canada? The choice of making a holiday in Canada is an admirable step. This nation ranked as the top most destinations in the world by granting over 200,000 new arrivals each year. 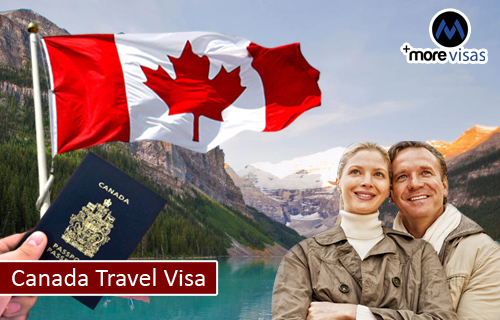 The desired candidates can make their wish come true through this Canada travel visa. Persons, those who are wishing to travel to abroad on a short-term purpose like to visit friends, relatives or to see Canadian sights for a short period are granted a travel visa. This visa is pertinent for those who are not the citizens of this country and those do not own a permanent resident card. All the visitors should have a travel visa before they enter the port of Canada. Entry permit to Canada is a freedom, not a right. If those who want to visit Canada are required to meet the some essential requirements and you may need a temporary resident visa. To visit this country for a short period of time, the overseas citizens need to apply for a Canada travel visa. This country will allow staying up to 6 months for overseas citizens and permanent residents of several countries. Though, for those who do not obtain this allowance they are issued a Temporary Resident Visa (TRV) which allows the candidates to stay for a maximum of six months in the country. If the candidates do not require this TRV they can just visit any port of entry with passport and point out to the Immigration Officer that your stay in the country is temporary and for the reason of visiting family, sightseeing, friends or business. These Canada travel visas are granted on a temporary basis service, even though they may be extended, they do not encompass a route to permanent immigration. Applicants need to show that it is their intent to go away to their homeland once their visa expires. Single Entry Visa: This visa permits you to enter the country only once. A single-entry visa is usually valid for 6 months. Multiple Entry Visa: This visa permits you to enter the country multiple times as you wish until the validated time for your stay in the country. Transit Visa: This visa is required when you will be in Canada only for 48 hours or less on your way to another nation. An invitation letter is generally required if you are going to Canada to visit your family members or friends or for a meeting or Business conference. So for this the candidate needs to ask their family members or friends or the coordinators of the conference to send you a letter of invitation. The letter should be written by a permanent resident of Canada and be registered by a Notary Public. This letter is supposed to be sent to the person who is invited to the country. The candidate is supposed to attach this letter along with their application for a TRV. If you are interested to apply, fill out our Quick Enquiry Form, so that one of our Travel visa expert will get back to you.